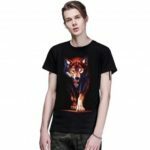 This men T-shirt features with 3D wolf print, cotton material, short sleeves and round neckline, suitable for casual, work and outdoor occasions. 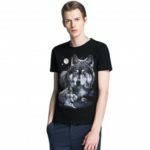 3D wolf print, lifelike and vivid. 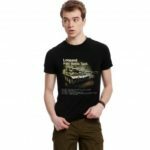 Cotton material, soft and breathable. With delicate sewing craftsmanship, durable for long time wearing.